The Super Game Boy was great, especially if you were a Nintendo fan who was short on cash and wanted to extract as much enjoyment as possible from your small library of games. Being able to experience your Game Boy games on the big screen was a real boon, and if you're anything like us then you'll have many happy memories of playing the likes of Super Mario Land and Zelda: Link's Awakening on the TV. The one serious drawback of the Super Game Boy was that it was never upgraded for the Game Boy Color era, and there was no way of playing titles like Metal Gear: Ghost Babel and Resident Evil Gaiden on your telly. Thankfully, Japanese firm Columbus Circle is about to solve this oversight with the Extension Convertor for GB, which is due for release in January next year. It's not known how much this device will cost, or if it will be made available outside of Japan - we're not even sure that it will work on the North American or PAL SNES at this stage - but we imagine that serious Game Boy fans will want to get their hands on it regardless. Let us know if you're one of those fans by posting a comment below. 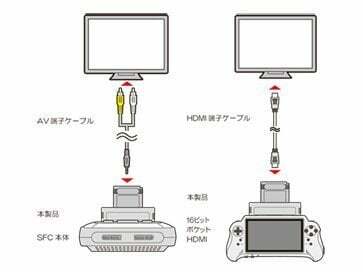 It looks like it just uses the SNES for power, and you plug the adapter's video output directly to the television? I'm pretty sure I've seen other devices that work that way in the past. I dunno, I'd probably just stick with the Game Boy Player (with the excellent homebrew GBI software). Meh it looks like one of those lame adapters that Retro-Bit made which had their own video output instead of using the ones on the SNES itself which is crap. Would had been nice to play GBC games on a SNES clone like the Analog Super Nt with crystal clear HD image but since this doesn't allow that I don't think I'm interested. @Nintendo_Alski Same! But this converter is hopefully less than the rather expensive Game Boy Player for GC – especially if the former doesn't play GBA games. I have to wonder how GBC games will look blown up on a 65" 4K television. Yes, it was a very serious problem indeed. For the three people that were still using their Super GameBoy regularly in 1999. A problem which was solved a few years later by the GameBoy Player for the GameCube. Which... noone bought. But me. And possibly someone in Uruguay. @Anri02 why not Resident Evil Gaiden? @Hordak not very special unfortunately, still it's a neat idea in principle I surpose. @Anri02 Cause it was GBC, and a very unique title? I'll have to check up that you don't live in Uruguay. That is an incredibly niche product. Someone needs to make a Gameboy/Color/Advanced/DS/3DS/N3DS adapter for the Switch. Have you been using your GameBoy player? @Pod using it all the time, with gba as controller. Not interested in crappy hardware NOAC emulators. Someone needs to make a real deal follow up to the Super Gameboy, that actually uses real hardware, or an FPGA. This thing with its own video output is worthless. Might as well just buy a fake GBC handheld that has video out for your TV. Ah! I should try that. I even have an off-brand connector cable lying around. I clean forgot you could do that. yeah if its not running the video threw the snes then its a no go for me. 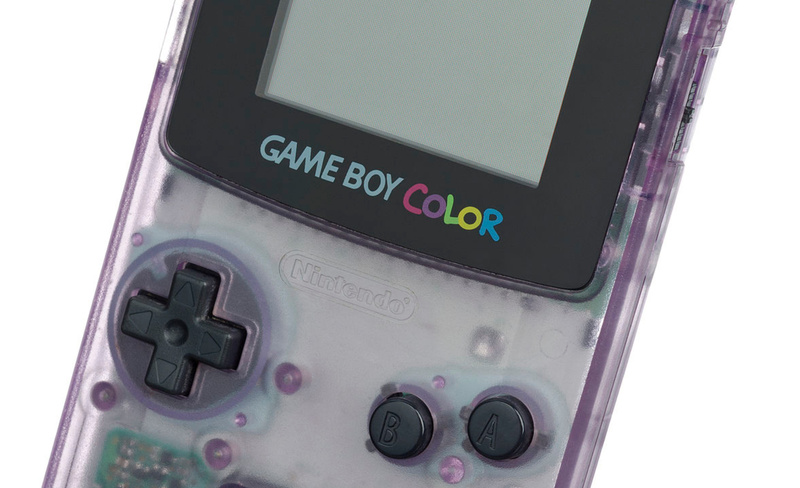 @Damo Nintendo did make a Game Boy Color device. They just only produced it for licensed developers and magazines, not the general public. It's called the Wide Boy Color. I know Nintendo even used it at their earliest Pokemon mall tour promotions in America, to allow lucky players to challenge Nintendo reps at their own game through the dev-only devices running on N64s. Why one of these groups hasn't mimicked it by now, I don't know. I guess this might be easier to get now, but a GameCube with a Game Boy player plays almost the entire Game Boy library, from the original Tetris all the way through to last games released as late as 2006. On official hardware. And there are a few options now to even output via HDMI to modern TVs that work really well. @Hordak I have no idea about this device. But playing them on my Game Boy Player via Gamecube with the GCHD HDMI adapter and the Gamecube's progressive scan mode - looks really really nice on my 60' TV. Disappointing that it seemingly doesn't work like a Super Game Boy. But having HDMI makes this interesting. If it's accurate, has clean HD output, and supports Y & B on a SNES controller, I'll consider it. Have a Retro Duo gathering dust that was just bought out of curiosity a decade ago to check it out, that has no practical use with original SNES hardware and a Super NT. Could set it up as a full-time HD GB/GBC system, if this beats the odds and is worthwhile. Hopefully it has SD rom loading features, since it very well may not work with a Game Boy Everdrive.